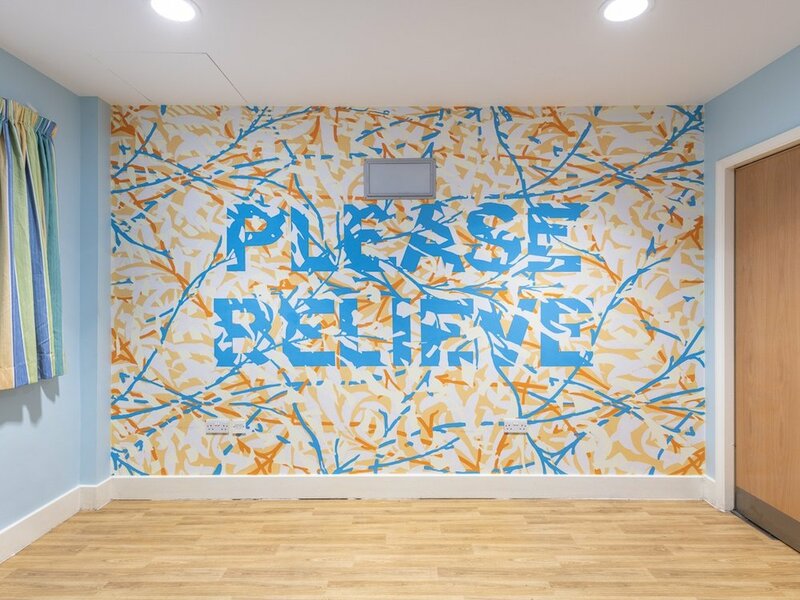 We worked with artists, residents and staff to create a series of extraordinary artworks for Bluebell Lodge, a locked rehabilitation unit for men at Central and North West London NHS Foundation Trust. This project launches a collaboration between Hospital Rooms and Cornish fashion brand Seasalt. Seasalt will be supporting in a variety of ways, starting with a donation from the sale of their popular bamboo Sailor Socks and the commission of an artwork by Anna Barriball that will be created for and installed in the Bluebell Lodge. 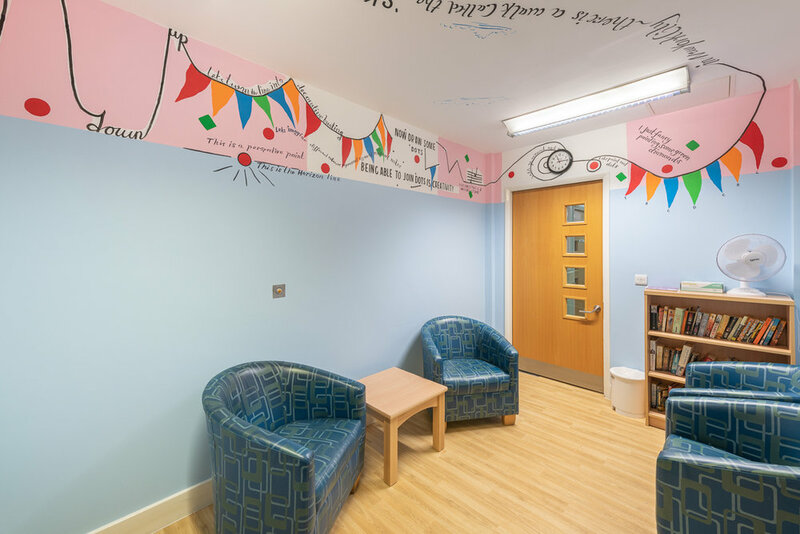 Hospital Rooms’ 6th project has taken place with Bluebell Lodge at Central and North West London NHS Foundation Trust. We have commissioned 6 world class artists to co-produce highly inventive, compelling and NHS compliant artistic environments for the unit in partnership with mental health service users, carers and mental health professionals through tailored arts sessions. 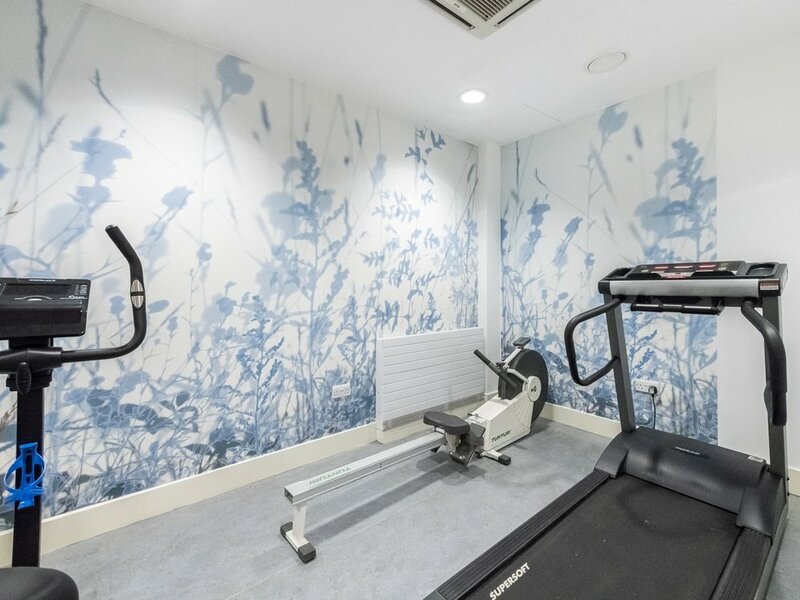 The Bluebell Lodge provides locked rehabilitation care to men aged 18 - 65 who have severe and ongoing mental illness and who have found other units unable to meet their needs. The average stay of patients is between 6 and 18 months. Bluebell Lodge: is an inpatient rehabilitation unit. It provides long-term care and support for people who have complex mental health problems and where previous placements have been unable to meet their needs. Qualified and experienced teams support service users to develop the necessary skills for independent living, including practical skills, mental health management and feeling prepared psychologically. Central and North West London NHS Foundation Trust: is one of the largest trusts in the UK, caring for people with a wide range of physical and mental health needs. We provide a wide range of services to treat people with a variety of health needs. In broad terms, these include common physical health problems, long-term conditions, mental health, learning disabilities, eating disorders, addictions and sexual health. We are here to provide support for people through every stage of life. The majority of our services are provided in the community, which means treating people in their homes or from clinics close to home. Where community care is not possible we offer a number of facilities to treat people in hospital or residential environments. We also provide healthcare in prisons in London and the surrounding areas. We are committed to providing services that meet the needs of the people who use them, and we actively encourage involvement from local people who can help make a difference.